Abigail partying in Skibbereen again! 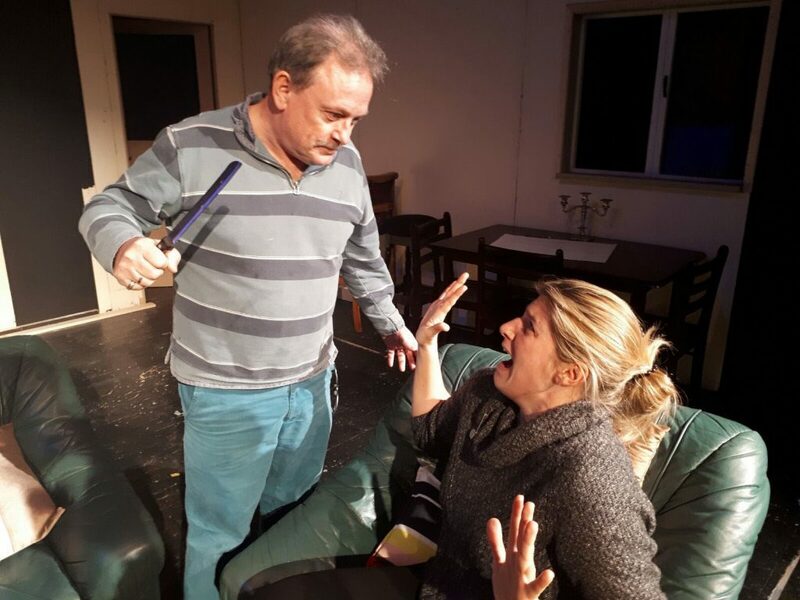 Skibbereen Theatre Society will return to the Town Hall with their award-winning play “Abigail’s Party” by Mike Leigh on Monday 2nd and Tuesday 3rd April for their final two performances. Patrons who were disappointed when the play was postponed due to snow at the end of February will have the opportunity to see this acclaimed production of the 1970’s classic comedy. Tickets held by people who had booked for the cancelled performance of February 28th will be honoured on either night. Every member of the five-strong cast has won at least one acting award on the recent drama festival circuit. Greg Watkin won best actor at Mountmellick Drama Festival while Mary O’Driscoll won best actress at North Cork Drama Festival. Bernie Whooley won the best supporting actress award at the West Cork Drama Festival and Angela Galvin won the same accolade in the Clare Festival. Paul Delaney was a multi-award winner, collecting Best Supporting Actor titles in Kerry, West Clare and Tipperary. Fachtna O’Driscoll won the Best Director award at the Clare Drama Festival in Scariff last Saturday, while the hard-working backroom team won the coveted award for Best Presentation (setting, lighting and sound) at the West Cork festival in Rossmore. Tickets for Easter Monday and Tuesday’s performances may be booked at Thornhill Electrical, Bridge St., Skibbereen, phone 028-22557.